NASA engineers have been playing with the idea of having remote-controlled "UAVs" flying around in the interior of the International Space Station. Their effort to control the little remotes from Houston was a success! The SPHERES are basketball-sized free-flying satellites that have been on the space station since 2006 and were originally developed by the Massachusetts Institute of Technology through the Defense Advanced Research Projects Agency and NASA Small Business Innovation Research funding. Project engineers equipped the SPHERES with a Google Nexus S and software to transform them into Smart SPHERES: remotely operated robots equipped with cameras, accelerometers, wireless and high-performance embedded computing. The test fully completed all nine test objectives and met all success criteria. 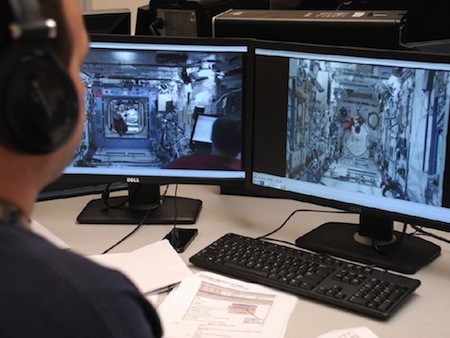 This experiment is supported by the Human Exploration Telerobotics project Technology Demonstration Missions Program in the Space Technology Program of the Office of the Chief Technologist at NASA Headquarters in Washington. In 1999, MIT engineering Professor David Miller showed the movie Star Wars on the first day of class. 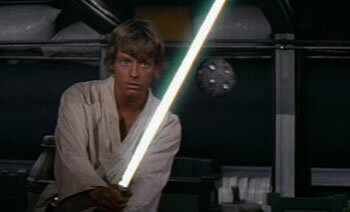 During the scene where Luke Skywalker practices his light saber against a seeker remote, Miller stood up and said "I want you to build me some of those." This dream became reality in May of 2006, when the SPHERES mini-satellites first flew in the ISS.